May 2014 | JACQSOWHAT: Food. Travel. Lifestyle. Located in the vicinity of Upper Thomson where lots of eateries and cafes are, you'll find recently opened November 8 Cafe in the same building as OZ Specialty Coffee as well. An ideal place for your all day breakfast and caffeine fix. The menu is pretty extensive considering the small kitchen, from your all day breakfast to pizza to bites and ice cream waffles. Wanted to try their waffles but Salted Caramel waffles was hard to resist as it's just nearby! Bangkok is definitely a shopping heaven for most and do you know that the 'land of smiles' has amazing food as well? Delicious food are lined up all across the road, with all sort of Thai delicacy which makes you hungry all the time. Cheap, flavourful, authentic, you name it. Truth is some of the best food I've eaten were on the streets instead of restaurants in malls. 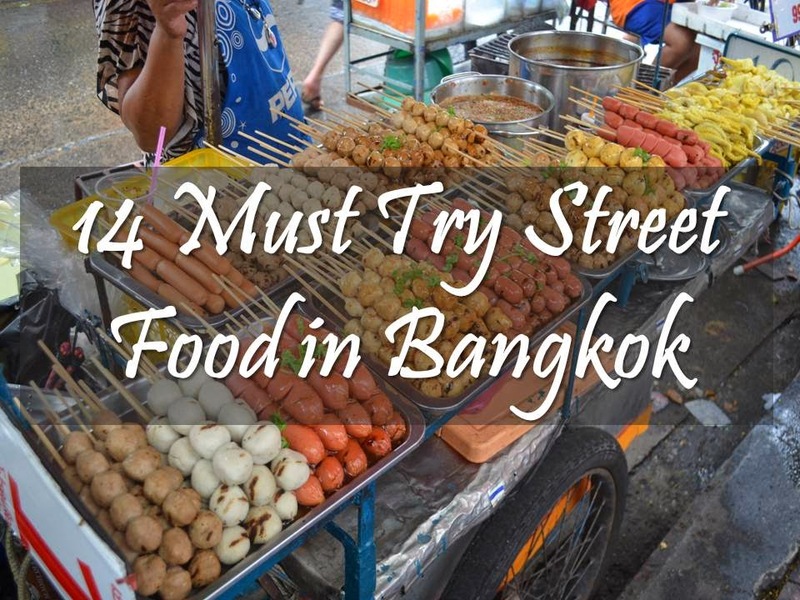 So here's 14 street food we think you should have in Bangkok..